A very special guided meditation to live music. 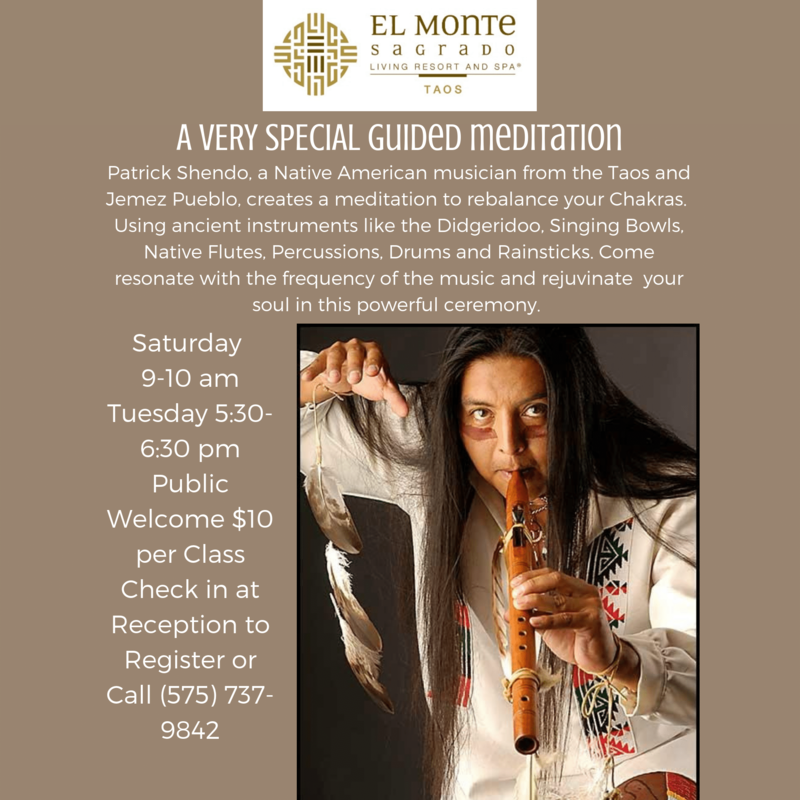 Patrick Shendo, a Native American musician from the Taos and Jemez Pueblo, creates a mediation to re-balance your Chakras. Using ancient instruments like the Digeridoo, Singing Bowls, Native Flutes, Percussions, Drums and Rainsticks. Come resonate with the frequency of the music and rejuvenate your soul in this powerful ceremony. Check in at hotel reception or call (575) 737-9842 to register. Also takes place Saturday 9-10 AM.